In 2019, MacpiePro will be planning more amazing and heart-pumping concerts, not only to dedicate to their Music Fans, but also to support music artists globally. ‘Crazy 20’ will be their plan in 2019. 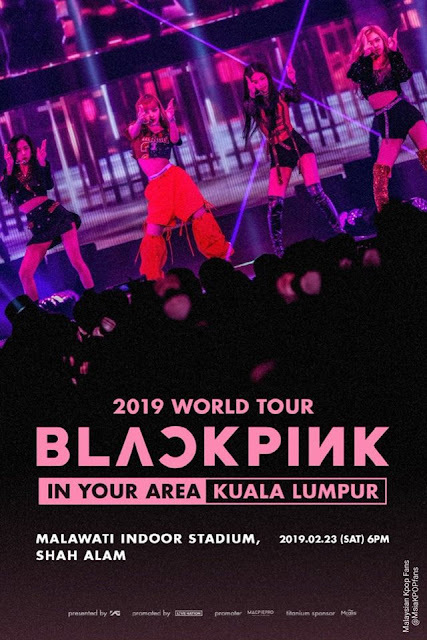 With an ambitious plan to keep up the trend in organising music events, MacpiePro is planning to organise 20 concerts within 2019, not only KPOP but to diversify genres such as CPOP, international acts and local artist. During the press conference, MacpiePro announced that there'll be K-WAVE Music Festival next year. BLACKPINK 2019 WORLD TOUR [IN YOUR AREA] KUALA LUMPUR will be the kickstarter concert for ‘Crazy 20’. Additionally, on 20th April 2019 MacpiePro will organise their first Mandarin concert that will be held in the Arena of Stars with remarkably talented performers from Taiwan, Korea (Bii and Roger Yang), China (Jeno Liu) and Malaysia (Victor Wong and pop duo, Fuying & Sam). MacpiePro also plans to promote local artists by giving them the opportunity that they deserve to showcase their wonderful talents. And since Malaysia have numerous talented local acts, MacpiePro will venture into artist management as well. Han Xiao Aii is the first local artist they have signed. Local artist Han Xiao Aii hinted that her solo EP will be released soon. Moreover, MacpiePro is grateful for their previous sponsors for supporting them throughout the journey, especially to Mcalls for being their strategic business partner ever since MacpiePro’s first concert to deliver ‘STRESS -FREE MUSIC’ spirit so that Music Fans will get to enjoy music without barriers. MacpiePro is also planning to work together with in-bound travel agencies to bring-in more international fans so that they too can enjoy their favourite music events. This will boost Malaysia’s Tourism, which will benefit Malaysia’s economy as well. With MacpiePro’s ambitious spirit and determination, they are hoping to deliver more incredible shows with their aim and vision of Crazy 20 in 2019.